Finding your niche is crucial online. Especially if you are an entrepreneur with in-depth knowledge and experience. Who want to make money AND create a bigger impact. There is a difference between being a generalist who “bloom” better in a broader market and an expert who has a deep knowledge in their field and long time expertise. If you are an entrepreneur with a deep experience, establishing yourself in a clearly defined online niche is what helps you capitalize your expertise and generate a great flow of sales. But how? Step 1: What Is Exactly A Niche Online? Let’s get started by defining an online niche as part of your niche marketing strategy. 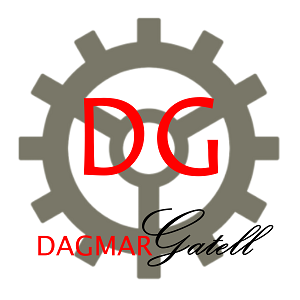 It satisfies what online searchers are looking for. The need and how well you can monetize a specific online niche is mostly dependent on the search demand of the specific niche and how profitable that niche is. 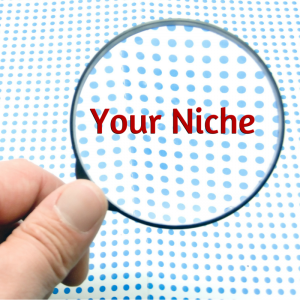 When we speak about finding your niche as part of your niche marketing plan, we separate macro and micro niches. Their search demand is huge, often in the billions or millions. But because they are so broad, your chance to rank well and to gain traffic is close to zero. The same is true of their conversion rate. Because nobody is looking for “health” online. Every searcher has a specific need or question in mind. People normally type in a word combination or full sentences when they are searching for a specific answer, have a question, looking for a solution, product or service. Micro niches are the opposite of macro niches. Micro niches are smaller niches within a macro niche. Entrepreneurs who establish themselves in micro niche often have a high conversion rate, targeted traffic coming to their website, and rank fast and well. Because their searchers looking for something specific online. They have a specific problem or need, eager to find a solution. If somebody searches for “weight loss tips for pregnant women” they expect exactly this, to find weight loss tips for women who are pregnant. They are not interested in weight loss tips for men, for kids, or weight loss tips for pets. Scroll down and check out the next step of finding your online niche journey – picking the online niche that fits your expert knowledge and experience. Picking your ideal online niche is a very important step to finding your niche journey. If you find it challenging to write down something for point 2 or point 3, just go back to your prospects and clients and ask them what questions they need help with or what problems they are dealing with. Now look at your result. Group topics with questions and problems that fit together and have a relevance. Pick the online niche for which you can provide the best content, information, answers, and solutions. This online niche, the one you pick, needs to be the one that fulfills your desire to make money and create a bigger impact. So you have enough drive and desire to go through the ups and downs of growing your go-to expert and global online authority. Step 3: What Niche Markets Are Within Your Chosen Online Niche? By now, you have a better understanding what a micro niche is and have picked your final niche group. The next step is to define what niche markets are within your chosen niche. The niche markets can be groups of individuals with the same, similar or different needs. Depending on the size of your micro niche, this may be only one niche market or several. Now it’s time to pick your niche market(s). Let’s use the example from before “weight loss tips for pregnant women”. If you picked “weight loss tips” as your niche, then “pregnant women” could be one of your possible niche markets. You could only have this one, or consider adding other niche markets such as “athletes”, “women after child birth” or “kids”. It all depends on your knowledge and expertise, and what services and products you want to monetize. After having selected your online niche and your niche market, it’s now time to find your niche keywords as part of your online niche journey. There are several free keyword tools you can use. The most common one is “Google Adwords Keyword Planner”. To use the Google Adwords Keyword Planner, you need to have a Google account and need to set up a Google Adwords account (the paid advertising of Google). It’s worth the effort. You will need to provide your credit card information but because you only use the free keyword tool, your credit card won’t be charged. Sign up and type in the niche you picked earlier. Then check out what keyword suggestions come up. Look for the one with search demand and if your competitors bidding on them. To look for other free keyword tools, just type in Google’s search bar “free keyword research tool” and check out what comes up. Some keyword tools are free forever, others have a trial period before you need to commit. informational keywords: keywords that indicate a searcher is looking for information including questions words like “how-to” for example. navigational keywords: searchers looking for a company or brand name. transactional keywords: used by people who have the intent to buy a product or service like “buy”, “subscribe” or “for sale”. commercial keywords: keywords that indicate a searcher is more than likely to become a future client like “proposal” or “offer”. Long tail keywords are compared to head keywords, keyword combinations with 2-5 words within. Long tail keywords like our example “weight loss tips for pregnant women“, perfectly fulfill a searcher’s original intent of finding answers to their specific question. These types of keywords rank fast and have a high conversion rate. The downside of long tail keywords is their low traffic demand. One thing is to get the rankings and traffic to your site, another to convert your online traffic into paying clients and customers. So longer your online visitors stay on your site, so more pages they look through, the less of a bounce rate you will have. This translates to having the search engines see that your visitors love you … and see you as a valuable source and global online authority that is worth being ranked first page. Finding your niche online and positioning yourself as the go-to expert and global authority in your field will bring you faster and higher conversions plus targeted traffic. Traffic that is ready to buy your products and services. Use long tail keywords to make sure you fulfill your online searcher’s needs. The more first page ranking results you can gain, the more you will be seen as an authority in your niche. All of this helps you to monetize your expertise as the outstanding expert you are! Questions about finding your niche online? Contact our Global Empire SEO team or click on the red button below to let us know how we can help!